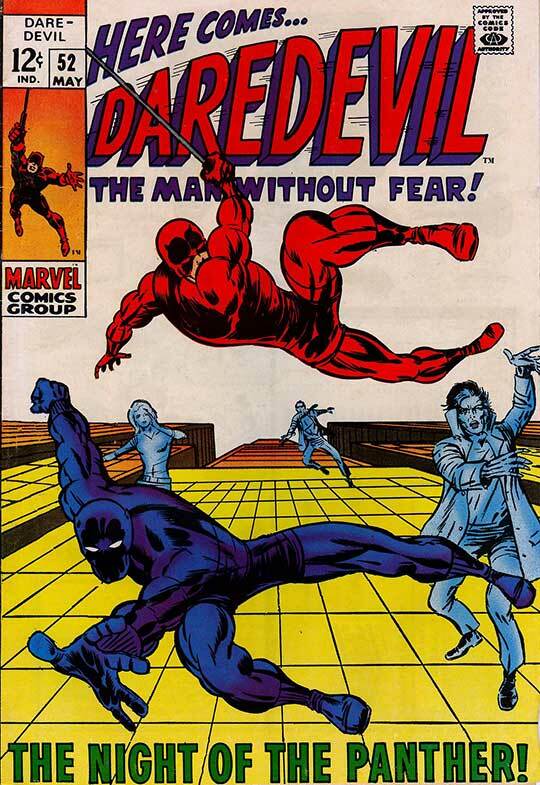 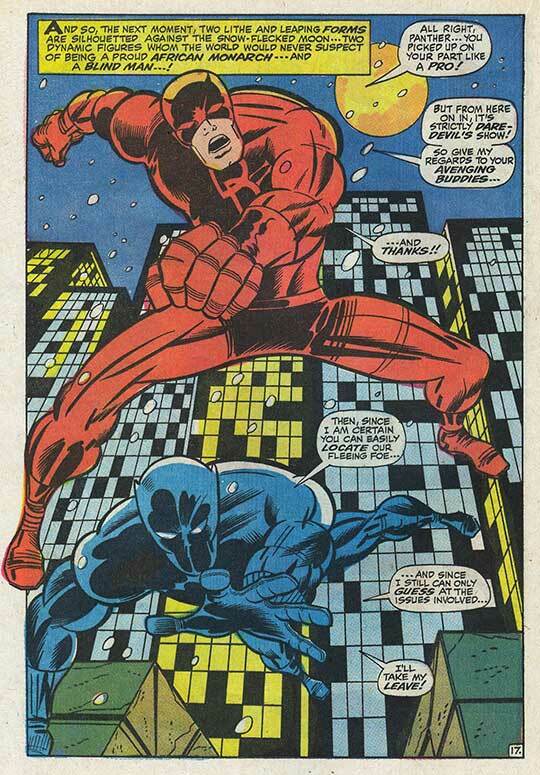 ...The Black Panther is drawn into a manhunt for Daredevil, who faces certain death due to blood poisoning! 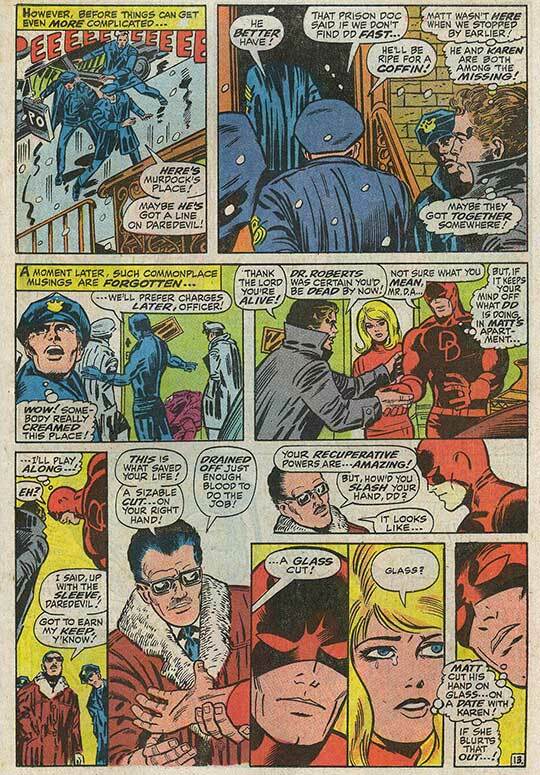 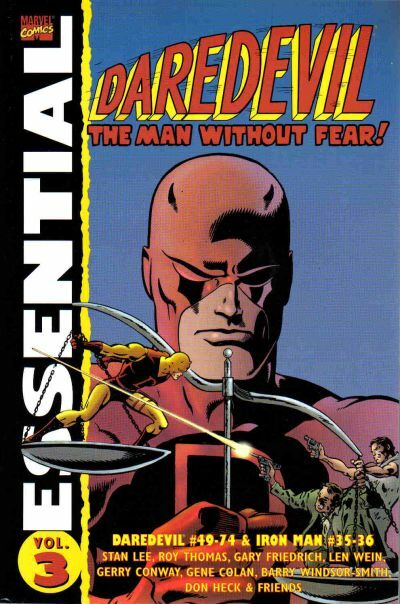 The delirious and disoriented blind hero had managed to evade his pursuers, recovering enough to remember his girlfriend Karen Page was being held at his alter-ego Matt Murdock's apartment by assassin/robot creator Starr Saxon...who knows Murdock is Daredevil! 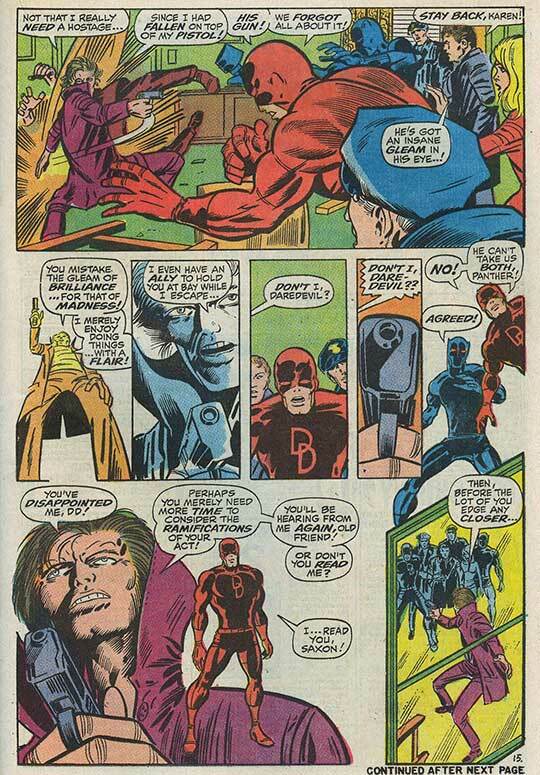 DD and BP did, indeed, meet up several more times in the Silver and Bronze Ages, in the pages of both Daredevil and The Avengers! 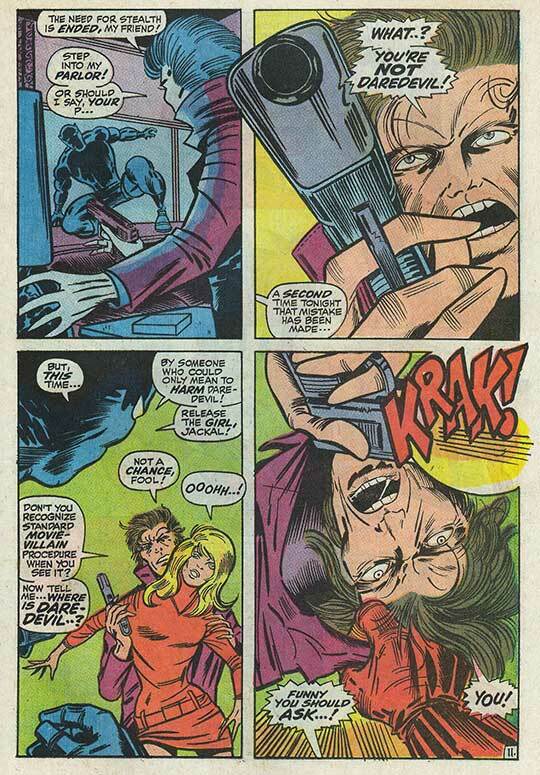 Since that era, the relationship has been, more or less, ignored. 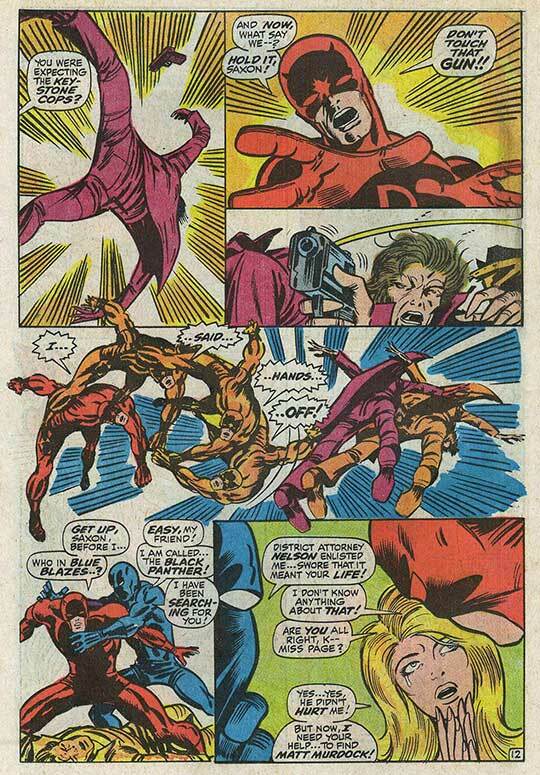 Starr Saxon kept tormenting DD for another couple of issues before meeting a temporary demise and being resurrected as MachineSmith! 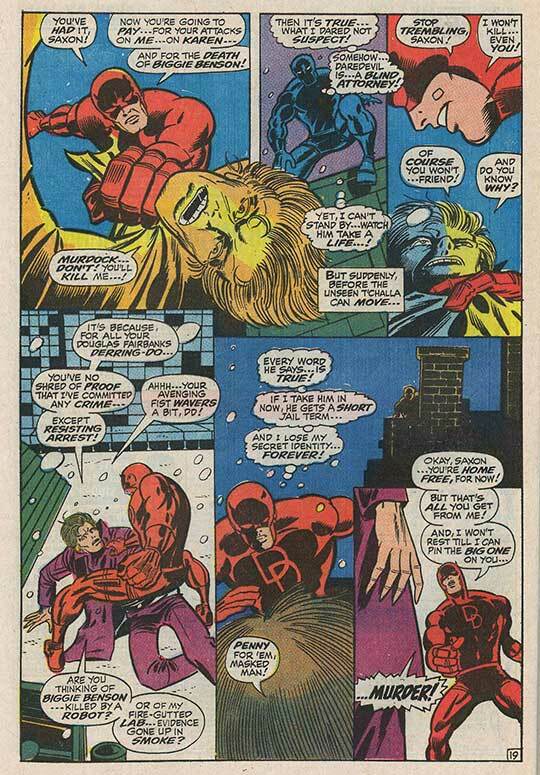 One aspect which, in retrospect, seems obvious (but wasn't at the time) is that Saxon is gay, a matter made quite clear in his later MachineSmith incarnation. 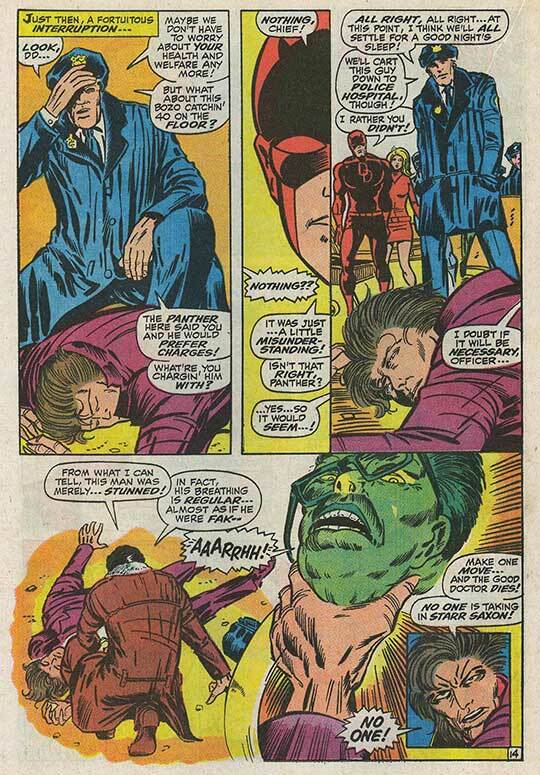 Barry Smith has stated that was, in fact, the intent and that Saxon's feminine hands and fey gestures were meant to be subtle enough to get by the Comics Code Authority! 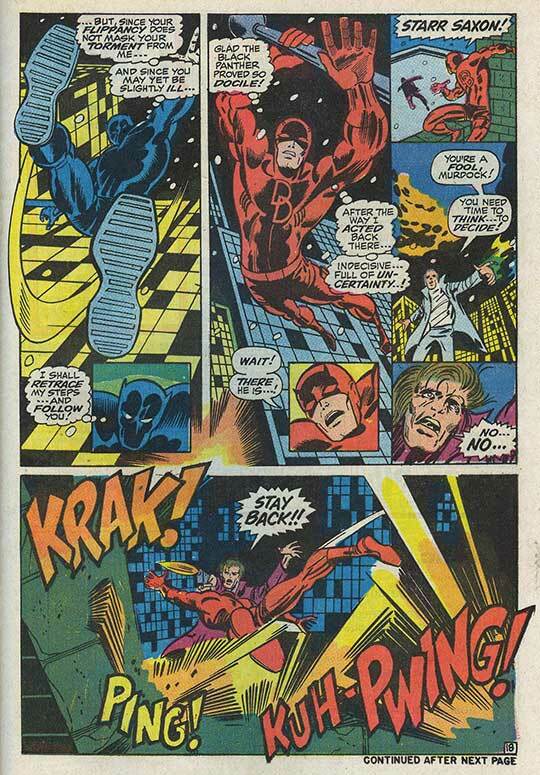 Compare Saxon's pointy-fingered hands with both Daredevil's and the Black Panther's square-fingered ones. 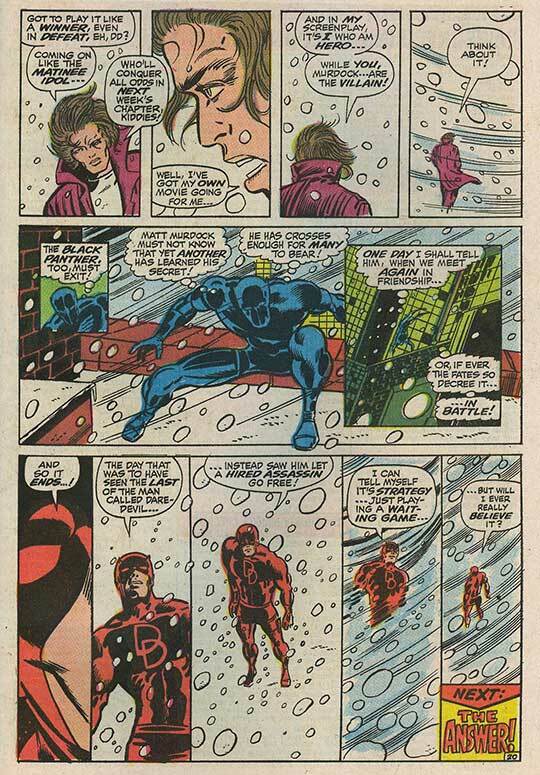 However, Barry attributes his lack of artistic experience at the time to not being able to convey that as succesfully as he intended! 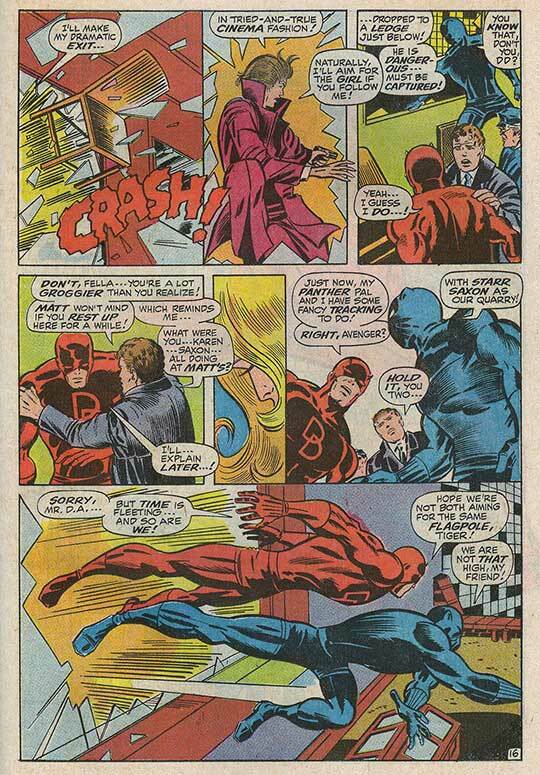 So, was Marvel's Daredevil #52 (1969) one of the first "politically-correct" comics, featuring a blind hero, a Black hero, and a gay villain?